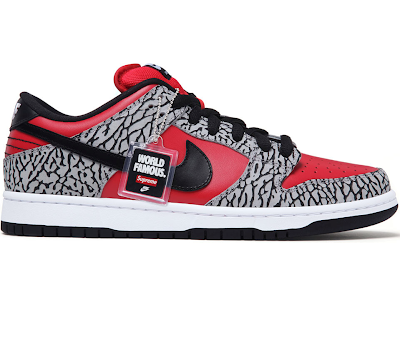 This Summer, Supreme has joined Nike SB to commemorate the 10 Year Anniversary of the Supreme Dunk Low, the sneaker features full-grain nubuck leather with embossed elephant texture made exclusively for Supreme. Available in-store in NY, LA, London and online on July 19th. Available in Japan on June 21st.